The Eureka Superkidz program is an after-school program that started in 2010 and is currently running in 700 villages in various districts in Tamil Nadu, India. The main idea of the program is to conduct after-school classes for children going to government schools in Tamil Nadu, where the individual attention that the children receive and the focus on learning outcomes is expected to supplement the limited attention given to them in schools. The tutors for the children are local youth from the same villages who are trained by Eureka expert teachers. 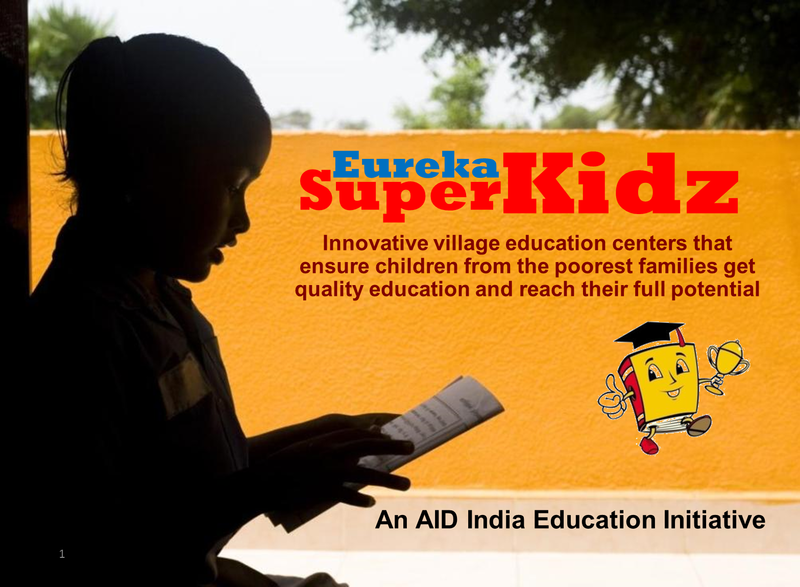 The Superkidz program was run by the Eureka team of AID in all the villages until now. The AID San Diego chapter is currently reviewing a project where some of the villages under the Eureka program are would be run by NGOs that are active in the educational field, and the Eureka team will train and monitor the progress of the students. More details about this project can be found in http://www.eurekachild.org/projects/superkidz.php and http://eureka.aidindia.in/superkidz.php. If you would like to donate to this project, please contact sandiego@aidindia.org or donate directly at https://secure.aidindia.org/donate/SanDiego.